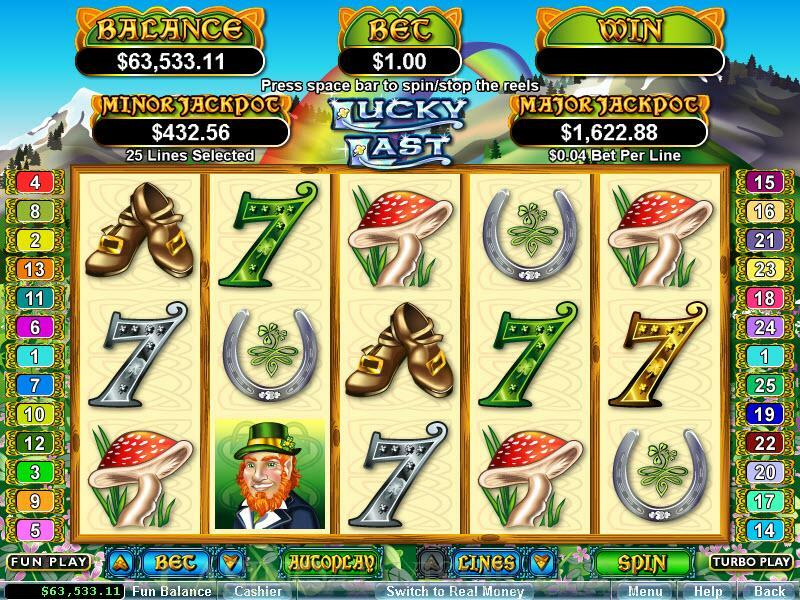 Lucky Last has an Irish theme. This theme is extremely popular because it has many lucky charms and symbols of wealth on the reels. The Gold Coin is the wild symbol. On one side of the coin is an image of a leprechaun and on the other is an image of a shamrock. The Shamrock is the scatter symbol. 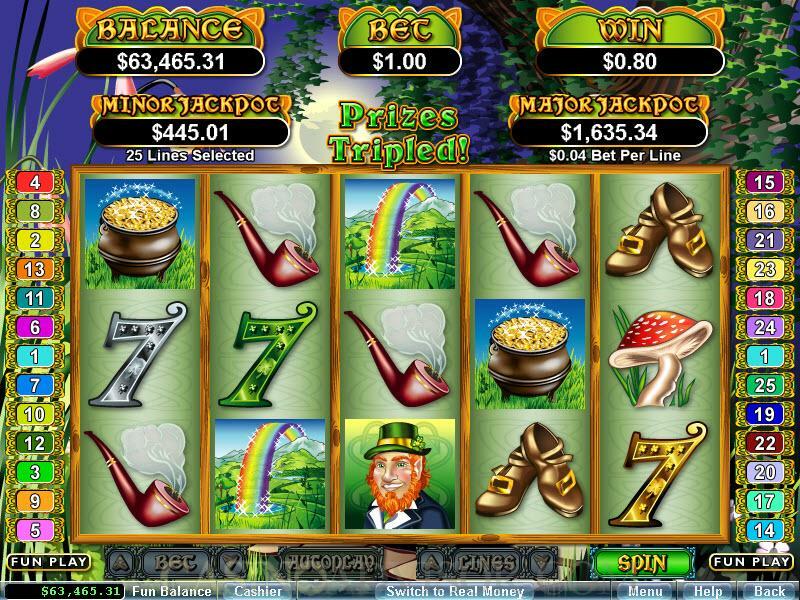 The Leprechaun offers the highest line payout of 5000 coins. His golden Shoes and Pipe are also symbols. 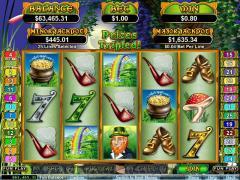 The Rainbow and the proverbial Pot of Gold at its end are popular symbols in Irish themed slots. There are Sevens of three different colors, the Toadstool and the Horseshoe as well. All line payouts are given in coins and are multiplied by the line bet to convert to credits. In Lucky Last only two of the betting options can be manipulated. The number of coins wagered per payline is fixed at one. The players have a choice of enabling up to 25 paylines, but it makes sense to always wager with all paylines enabled. The coin size range is fantastic. The coins start at 0.01 and go all the way to 5.00. The maximum total bet works out to 125.00 credits, which should attract high rollers. The Gold Coin is the wild symbol. It appears only on Reels 1 and 5, but it doubles payouts when it assists in making winning combinations. The Gold Coin can appear stacked across all three rows and thus contributes even more to the payouts. When one or more coins appear on Reels 1 and 5 simultaneously the Lucky Last Feature is triggered. 7 free spins are awarded in this feature. The payouts are tripled in the first six spins and are doubled in the seventh spin. This is because the seventh spin offers another special benefit. The Lucky Last Feature can be retriggered only in the seventh spin. In fact the software is so programmed that the feature has a 50% chance of being retriggered. The retriggering can take place a maximum of five times. The scatter symbol only provides scatter payouts when two or more appear anywhere on the reels. The scatter payouts are multiplied by total bet to convert to credits. 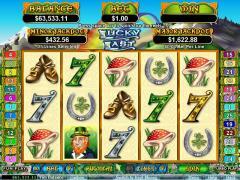 Lucky Last is from the Real Series of slot games and offers two randomly triggered progressive jackpots. They can be hit independent of each other and can be hit after any spin. The Major jackpot runs into thousands of credits and the Minor jackpot runs into hundreds of credits. The jackpots can be hit irrespective of the amounts wagered, but have greater chances of being hit for higher wagers. The random jackpot contribution is no more than 1.5% of total return to player. Interested in reading more detailed information about Lucky Last? If so Click Here for more details.